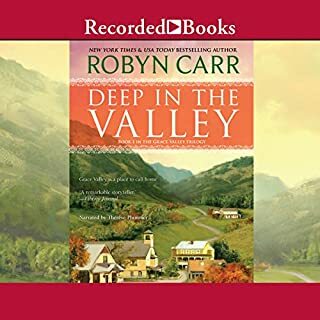 Best-selling author Robyn Carr has earned a devoted following for her inspirational tales of love and redemption set in the near-magical confines of Virgin River. For anyone who enjoys romance series, this one is for you. Although some of the scenes are a bit over the top (speaking of the series in general and not this book in particular), these books are a pleasant read without anything to graphic. They give you the view of people in a small community that work as friends and neighbors. With men who are all any woman would want (okay, it is a little unrealistic to have so many handsome, caring men who idolize their woman) it makes you want to pack a suitcase and head out to Virgin River and Jack's Bar. I'd advise getting all the books in the series and starting at the beginning. You can listen to these as stand alones but you get a more in depth feeling fot the characters when you learn about them from the start and how they interact with each other. I listen to this series over and over and can't wait for the next book to come out. Book 11 "Wild Man Creek" includes references to things that would have occurred previously in Promise Canyon. 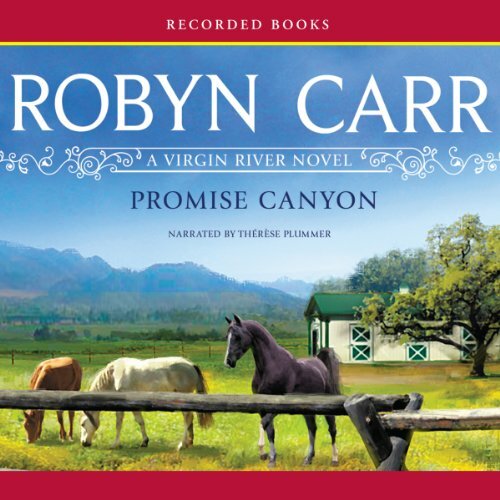 I think "Promise Canyon" is supposed to be Book 11 and "Wild Man Creek" is supposed to be Book 12. This book was enjoyable, but not as good as others in the series (I've read through Book 12). Robyn Carr strikes again! Loved it, well done Ms. Carr. Pulls you in right from the beginning & interested until the end. You will not want to stop listening once you've started. Enjoy! This series is out of order with these two books. Promise is taken place first and then Wild Man Creek. Don't know how Audible messed this one up. Both books are a great segment of the whole series. 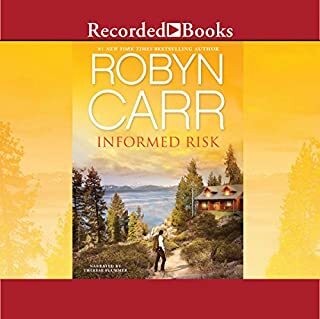 I love how Robyn Carr takes these stories and is able to keep your interest with these easy listening episodes. I don't think I could listen if Therese Plummer doesn't narrate them. Wonderful. It's worth the credits to get everyone in this series. Thunder Point is great too. This is another good addition to the Virgin River series. 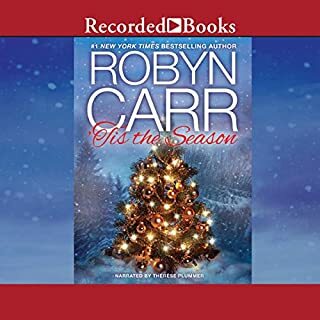 You can always count on Robyn Carr to give an interesting story about the different people of the town, a great love story and a beautiful ending. And that combined with the best narrator ever, Ms. Therese Plummer, means you cannot go wrong and it is always a credit well spent. Nice story. The heroine was a bit unrealistic in some of her thinking but the other characters more than make up for her shortcomings. Love this series! I'm a horse lover and wanted to love this one. Let me start by saying that I love this series and this author. I really love the narrator. I just felt this particular book in the series was a little shallow and fell short. I looked forward to the Native American aspect of it but it just wasn't as good as some of the others. It also stopped where it could have been more interesting. I especially disliked the representation of the author's version of a "Horse Whisperer". There are horse whisperers, there are many that are well known, but they use actual techniques not mind reading. They read body language. I'm a lifelong horse owner and trainer. I was disappointed that the author didn't at very least take time to find out the differences in horse colors, or the differences between harnesses, bridles halters and other tack. There were all kinds of crazy, dangerous interactions with horses that were just stupid and full of misinformation. There is no way someone who rode barrels for awhile as a kid will look like they have been riding dressage their whole life. (The pronunciation of dressage was also irritatingly incorrect.) She should take a lesson from author Diana Gabaldon (Outlander) and do a little more research. 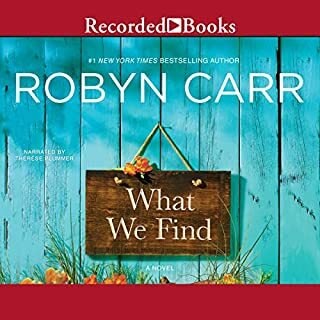 Robyn Carr seems to know a lot more about food. Which is always fun. I also missed more interaction with the Virgin River characters who I love. 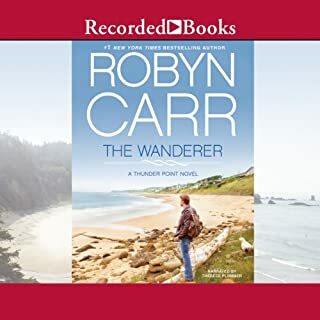 A bit of a departure from other's in the series but enough connection with previously introduced characters to be enjoyed as part of the Virgin River series. Sometimes it is difficult to let characters go after reading books. I so love series books because the stories continue and the characters lives grow just like in life. 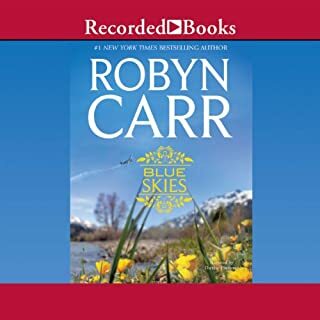 Robyn Carr's books are the best of all worlds. The characters grow and develop and Virgin River is place I'd like to live.